No summons, invalid Notice of Assignment for US Judge Thomas Griesa, and denial of public access to the authentication records in a court that is notorious for fraud in banking matters... Conduct of the US courts over the past decade should be deemed an unannounced regime change in the United States. It is also central to abuse of the people of the United States and failing banking regulation. In the case of NML v Republic of Argentina the US courts reach beyond the territorial US, to rob the people of Argentina through fraud of medieval style and proportions. Others state it more clearly: Central to the collapse was the implementation of neo-liberal policies which enabled the swindle of billions of dollars by foreign banks and corporations. In 2014, the fraud is more brazen. In litigation in the US District Court, Southern District of New York, which is opined here as fraud, Judge Griesa issued rulings, orders, and judgments, which doom the Argentinian economy. US Judge Thomas Griesa; Street scene from the Argentinian economic collapse of 2001. In 2001, Argentina defaulted on more than ninety-five billion dollars in external debt. At the time, this constituted the largest sovereign default in history. Argentina initiated two restructurings in 2005 and 2010, allowing holders of defaulted bonds to exchange their bonds for new debt at a rate of twenty-five to twenty-nine cents on the dollar, thus restructuring more than ninety-one percent of the foreign debt on which it had defaulted in 2001. Hedge funds specializing in trading distressed sovereign debt, such as Elliott Associates, purchased large amounts of Argentinian debt at a significant discount on the secondary market, and "held out"--they refused to join the restructurings and sought full collection of their debt. 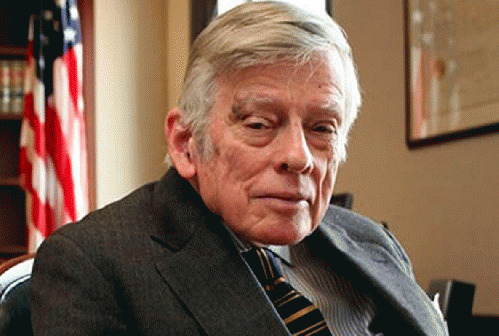 In February 2012, Judge Griesa of the District Court for the Southern District of New York issued orders enjoining Argentina from making payments on its restructured 2005 and 2010 debt without making ratable payments to NML Capital, a distressed-debt hedge fund affiliated with Elliott Associates. In October 2012, a unanimous panel of the Second Circuit substantially affirmed the orders.6 Argentina was not to make full payment on its restructured debt without also making full payment to the holdout plaintiffs... The decision, therefore, would seem to doom consensual sovereign debt restructuring. Series: "US banking regulation corruption"
View All 1 Articles in "US banking regulation corruption"